Whatever role you are most comfortable in (a player, referee, coach, or fan), Vikings has the resources to facilitate your soccer passion. San Francisco Vikings now has "Players First" licensing from US Club Soccer! Click here to learn more! G08 Red: Futsal Champions Congratulations, G08 Red and coach Jim Broshar! G08 White: Futsal Champions Congratulations, G08 White and coach Joe Luppino! What is the Vikings Way? Read more about "The Vikings Way"
The foundation of the San Francisco Vikings' Select Team Program is to develop the whole player. Our coaches provide an environment that encourages each player to achieve their highest potential, both as an individual and as a member of a team. Through the spirit of cooperation and competition, our program fosters the physical and mental development that is necessary to excel at soccer in a healthy character-building environment that combines fun and excellence for youth soccer players year-round. The San Francisco Vikings Soccer Club will continue their AGM from April 11th, at 7 PM on April 23rd , 2019 at the County Fair Building in Golden Gate Park. Find Fall season information and team registration here! Rec and Micro registrations are now open. Need to order a game jersey, shorts, socks or practice t-shirt? Click here. Click for Summer Camp information and registration! Here you can find information for the upcoming tryouts for the 2019-2020 seasonal year. Tryouts are for travel and competitive teams. Recreational and Microsoccer players do not need to attend tryouts. For more information about tryouts and registration deadlines, click here. Register for the Fall 2019 tryouts taking place on April 27/28 for competitive teams in birth years 2011-2006. Order an Extra Red Practice Shirt Here! Field closures are determined by SF Parks and Recreation. Turf fields do not close when it rains. They close if there is lightning. Donate to SF Vikings Soccer Club! 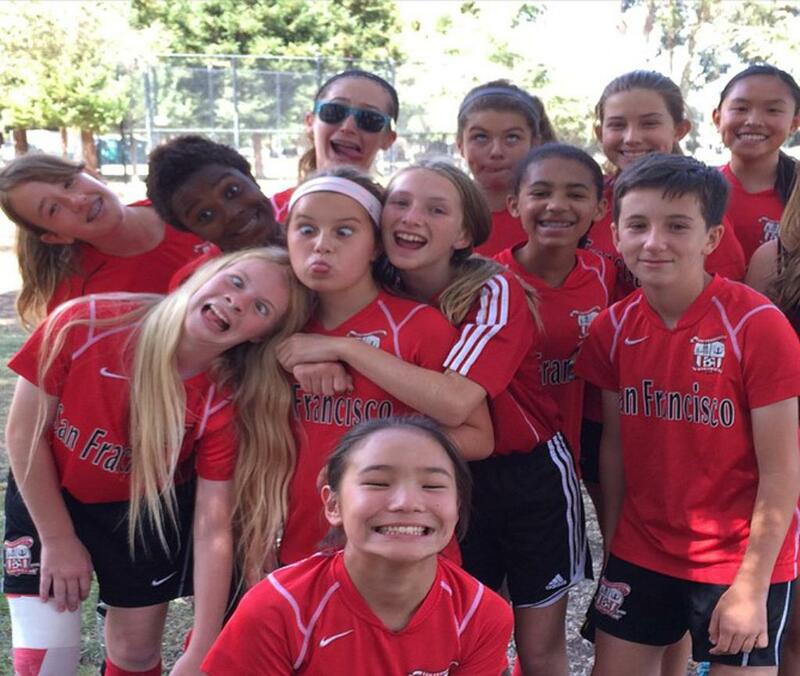 The SF Vikings Soccer Club is a 501c3 charitable organization that serves the youth soccer community. Every season we have many requests for financial assistance. If you are able to help us fund a needy child's scholarship, please click the link below. You will receive a form for tax purposes, and thank you for helping . How does San Francisco Vikings compare to other clubs? SF Vikings has existed for over 90 years because its members are passionate about soccer. We are constantly seeking to improve training efficiency and focus on providing a pathway for individual player development from Microsoccer to the highest level available in San Francisco. SF Vikings believes that collaboration is a key component for success, and our teams work together and share coaches so that players have opportunities to move up or down to find the appropriate level of challenge. SF Vikings Soccer Club is committed to keeping our athletes healthy! Since January 2015, we have partnered with Operation Zero, a local business whose mission is to reduce injury rates and optimize athletic performance in female athletes. Owned and operated by a licensed physical therapist, Operation Zero brings clinical knowledge and current research to hands-on injury prevention programs at each team's practice site. For program details and results, user-friendly resources, and home exercises, please visit www.operationzero.org. It is the important that all coaches, parents and players understand the concussion protocol. Once a year, we need to collect this form from the parent of a participating child. Please call ahead if you are coming to the office to make sure someone is there to help you! 1434 suite A, Taraval St.